Last week voting closed for Otley businesses to decide whether Otley BID should continue for a 2nd term. Our Board of Directors meet on a monthly basis, therefore, if anyone has any questions or have any ideas of projects they would like to see implemented in the town, please do not hesitate to contact us on info@otleybid.co.uk. 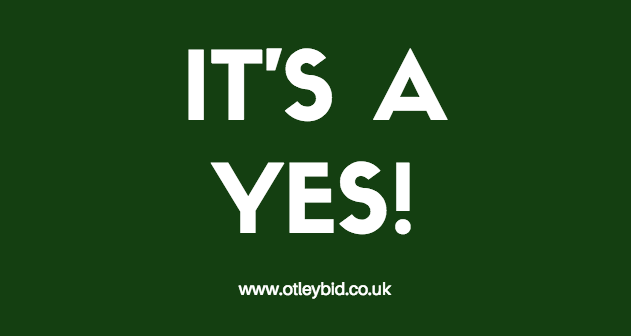 Latest Otley BID, Otley BID Ballot, Otley BID Vote Yes Campaign, Otley BID Yes Vote. permalink.